National Planting Day mobilizes Americans to plant native species of trees, flowers, and plants on the first Saturday after Labor Day each September. The program celebrates the value and power of native species in restoring ecological balance to the environment while creating greener, more beautiful communities. In the United States, native species are losing ground to suburbanization, fragmented habitats, ornamental plants and invasive species. Yet we know that native plants are critical to attracting specialized pollinators and insects, which in turn provide food for birds and ultimately many more animals up the food chain. Native plants also provide habitat for wildlife, are hardy, low maintenance and require less water than other ornamentals. You can do your part by planting native species at home or by initiating a community project to beautify your neighborhood. Tell your friends and family about the importance of native species, and get them involved too. Create an account to register your National Planting Day event. 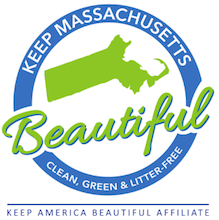 What Plants and Trees are Best for Massachusetts?